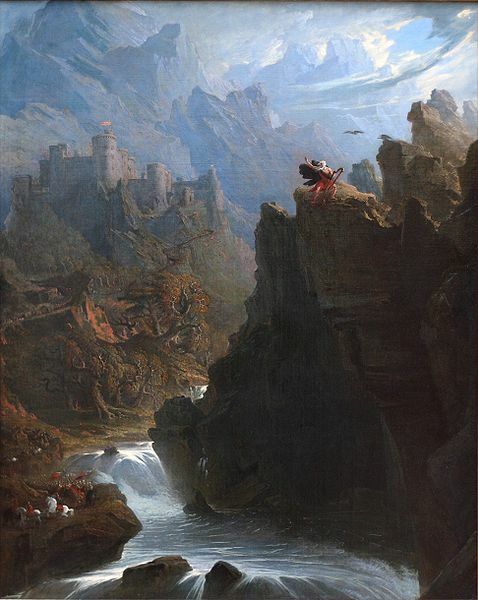 The Bard, John Martin, 1817. 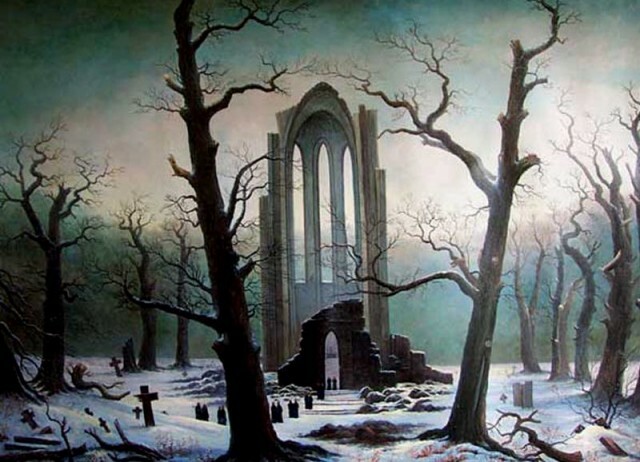 Cloister Cemetery in the Snow, Caspar David Fredrich, 1817-1819. I- 1- Who were the Goths originally ? 2- What did Gothic literature get its name from? II- 3- During which period was Gothic literature at its peak? 4- Name a present-day writer who uses Gothic elements. 5- Which atmosphere can you find in Gothic novels? 6- What is the archetype of the Gothic hero? 7- What was the first Gothic novel entitled? Who wrote it? When? 8- What is the typical setting of a Gothic novel? 9- What type of women can you find in Gothic novels? 10- What typical motifs can you find in Gothic stories? 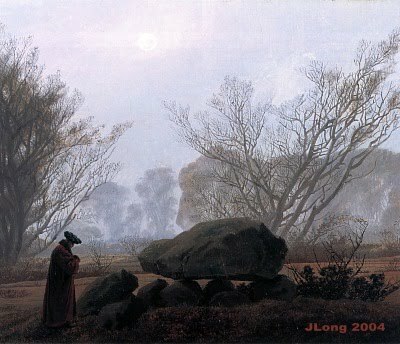 11- Choose one of the paintings under the list of websites and identify the Gothic elements present in this painting. 13- Here is the photo of one of the authors you mentioned in exercise 12. Find out who he is, what his nationality is, when he was born and when he died. Vous pourrez retrouver les fiches d’évaluation pour les différentes épreuves du baccalauréat d’anglais en cliquant ICI. Elles sont valables pour les différentes langues vivantes présentées à l’examen. La fiche d’évaluation et de notation pour la compréhension de l’oral en LV1 se trouve en page 1 et celle pour la LV2 est en page 2.